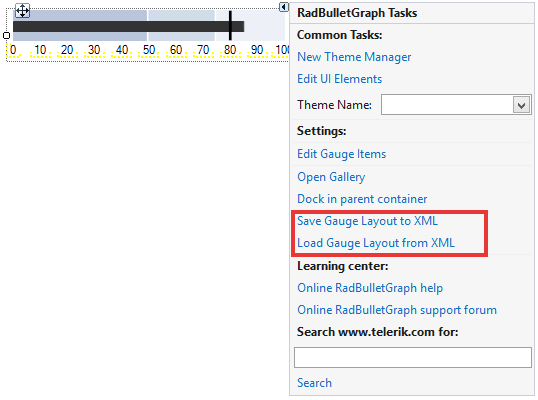 RadBulletGraph supports Save/Load layout functionality which gives you the opportunity to preserve gauge elements' settings and restore them later. The layout settings are written in xml file. You can save the layout at design or at run time.